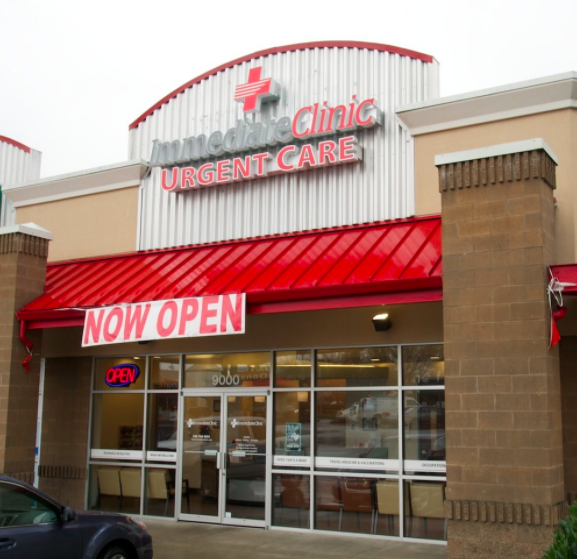 As part of the larger Immediate Clinic, this clinic has affiliates with the closest other clinic being in Seattle about 4.2 miles away and is open tomorrow from 8:00am to 8:00pm. Recognized favorably amongst their patients, Immediate Clinic, Crown Hill has an average rating of 4.8 stars out of 5 based on 561 total ratings. In fact, recent patients have frequently used words such as "ambiance" and "bedside manner" to describe their experience at the clinic. Certainly not terms you hear about healthcare providers too frequently! The base price for an office visit at Immediate Clinic is $125 with additional services being an extra charge. Patients typically pay between $33 - $125 for common services. Immediate Clinic accepts many major insurance plans and multiple forms of payment, making it easier to get the affordable care you need. It is always a good idea to contact your insurance company before your visit to ensure the Clinicis in network for the service(s) you're seeking. Exceeded my expectations in every way. I have been to 2 other urgant care clinics before, and always had a good experience. But my visit today to Immediate Care on Holman really set a new bar for what healthcare should be. Thank you! Walked in, everyone friendly and helpful. In and out in 30 minutes. So grateful!, for kind and extremely knowledgable care! Exceeded my expectations! Really felt listened to. I’ll be back if I’m under the weather again. Thank you! The visit was good. I was disappointed to see the front desk person wipe their nose with their hand and then handle my ID and insurance cards given it's the cold and flu season. Quick and friendly! Explained everything they were doing and made sure I understood how to proceed. Thanks! Very positive, professional and prompt assistance. Staff was very kind and considerate. Environment was pleasant and under control. My issues/concerns were listened to/made aware of and handled exceptionally well. I also noticed the concerns of others were well adhered to, also. Thank you for your care. You made a positive difference to me. Everyone there made my visit really easy, especially during a hard time when I’m not feeling well. Thank you! Wait wasn’t very long and they gave an accurate estimate of wait time. They covered all the bases of my kid’s illness and did the appropriate tests. They were really good at explaining things. I was so impressed by every single person I met with at Imnediate Clinic. It was a great experience. Thank you!